Scioto County will receive almost $1 million from the state’s capital budget to fund three community projects. State Senator Joe Uecker recently announced the Senate passage of the state’s capital budget, a $2.62 billion investment in Ohio’s infrastructure and local community projects. A total of $2.96 million in funding was distributed among Clermont, Brown, Adams and Scioto counties, providing funding to a variety of upcoming community projects. Scioto County will receive $950,000 in funding for three projects. 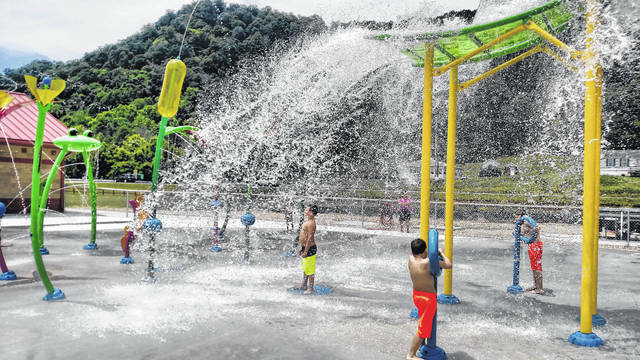 The Earl Thomas Conley Splash Pad will receive $100,000, and Shawnee State University Kricker Innovation Hub will receive $500,000. Southern Ohio Medical Center will receive $350,000 to provide additional patient rooms, a meditation room, a gathering room, family restroom facilities and an upgraded kitchen, as well as 12 remodels to exisiting patient rooms at the hospital’s Hospice Inpatient Center.